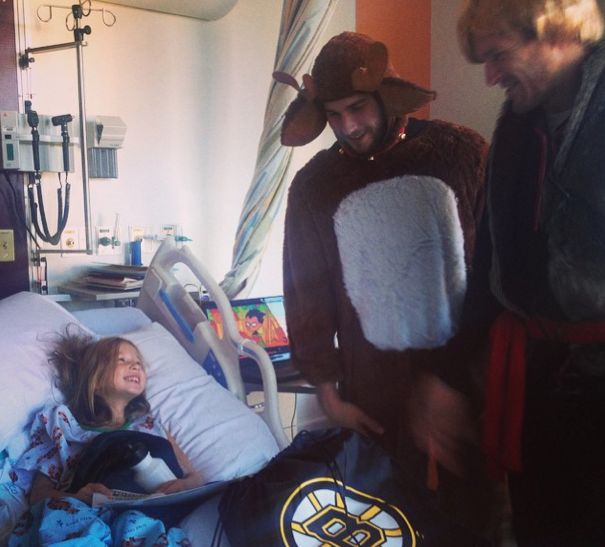 Every year, the Boston Bruins take a trip to visit the children at Boston Children’s Hospital as a way to cheer up the kids in the spirit of Halloween. The trip is complete with costumes, and the guys don’t usually disappoint – this year was no different. The guys went as the characters from Frozen this year. 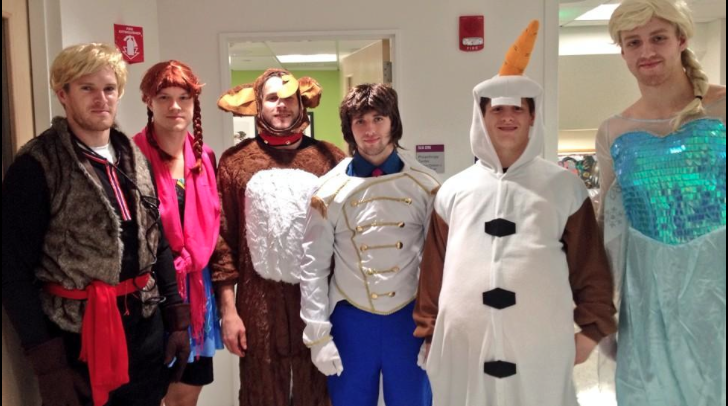 From left to right, Kevan Miller as Kristoff, Matt Fraser as Anna, Matt Bartkowski as Sven the reindeer, Seth Griffith as Hans, Torey Krug as Olaf and Dougie Hamilton as Elsa. 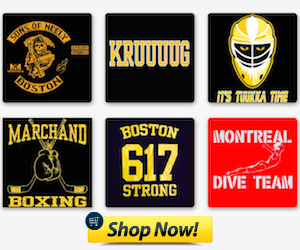 Since Frozen was an extremely successful movie this year, the kids were no doubt thrilled to see favorite athletes decked out as some of their favorite characters. 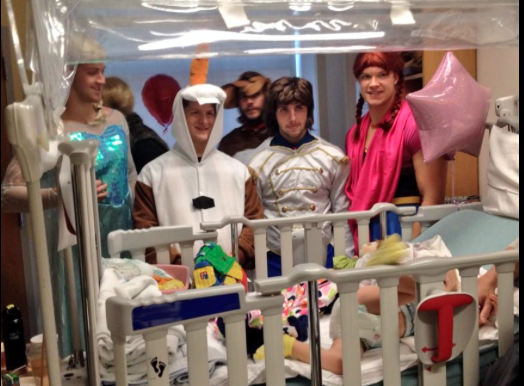 It’s important to note that this is the second straight year that Dougie Hamilton has brought his A-game to the B’s annual Halloween visit. Last year, he went as a giant baby – bonnet and binky included. This year, his Elsa put any other Elsa costume to shame. In my opinion, Bart looks pretty great as well (even if I thought he was dressed as a puppy at first), though if we’re being honest, all of the boys put forth an A+ effort. The entire visit has one mission: to cheer up some kids who can't go trick or treating due to illness, and each year, the Bruins succeed in doing so.